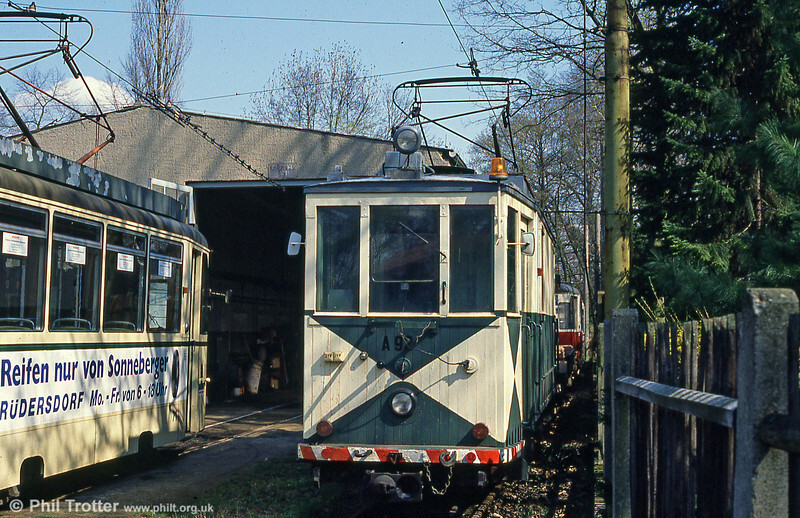 This one-route tramway runs from Friedrichshagen S bahn Station (Berlin) to the towns of Schoneiche and Rudersdorf. Visited on 10th April 1991. Schoneiche works car A92, built in 1914 and formerly from Krefeld, at Friedrichshagen on 10th April 1991.